Jack Skellington, will be joining the holiday season at the Walt Disney World Resort by dropping in on Mickey’s Very Merry Christmas Party at the Magic Kingdom Park. 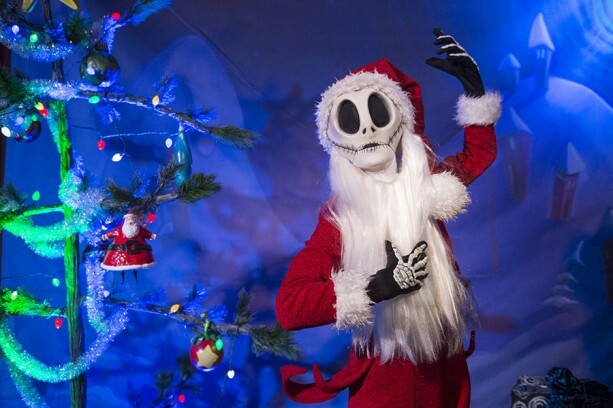 Jack will be meeting guests back in the Storybook Circus during the party, and he’ll be dressed up as “Sandy Claws”. This is the first year Jack has been seen at Mickey’s Very Merry Christmas Party and unlike the Mickey’s Not So Scary Halloween Parties, Sally will not be joining Jack for the parties. This year’s parties start at 7 p.m.-midnight on November 8, 11, 14, 15, 17, 21 and 22, and December 1, 3, 5, 6, 8, 10, 12, 13, 15, 17, 19 and 20. Posted on November 7, 2014, in Announcements, Disney Characters, Walt Disney World and tagged Disney, Disney Characters, Disney Travel, Jack, Jack Skellington, Mickey's Very Merry Christmas Party, MVMCP, WDW. Bookmark the permalink. Leave a comment.